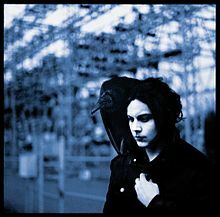 Jack White's first solo album, Blunderbuss, debuts at #1 this week in both the U.S. and the U.K. This marks the fourth time that the first solo album by a prominent member of a group or duo has reached #1 in both countries. Blunderbuss follows George Harrison's All Things Must Pass, George Michael's Faith and Beyonce's Dangerously In Love. All three of those artists had had "transatlantic #1" albums with their famous groups (the Beatles, Wham! and Destiny's Child, respectively) prior to their solo debuts. White nearly did too, but the White Stripes' 2007 album Icky Thump, which hit #1 in the U.K., peaked at #2 in the U.S.
Blunderbuss is White's eighth top 10 album on The Billboard 200, following three albums with the White Stripes, two with the Raconteurs and two with the Dead Weather. The White Stripes first cracked the chart in March 2002 with White Blood Cells. The Stripes' last three albums won Grammys as Best Alternative Music Album (which puts the band in a tie with Radiohead for the most wins in the category's 22-year history). White has amassed nine Grammy Awards in all. White's album sold 78K digital copies (out of 138K total), which puts it at #1 on Top Digital Albums. The Fine Print: George Harrison released a pair of instrumental albums before All Things Must Pass, but they were experimental and had limited appeal. I think it's fair to call the triple-disk (!) All Things Must Pass his solo debut. Adele's 21, which inches up from #3 to #2, logs its 62nd week in the top 10. 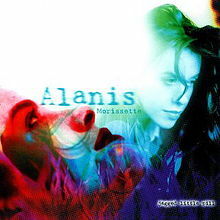 That's the longest run in the top 10 by any album since Alanis Morissette's Jagged Little Pill spent 72 weeks in the top 10 from August 1995 to January 1997. We're running out of album titles, but this is ridiculous. There are two albums in the top 10 titled Up All Night. One Direction's former #1 album with that title rebounds from #5 to #4. Country singer Kip Moore's like-titled album bows at #6. In the fall of 2008, two albums titled Fearless cracked the top 10 (though they never appeared in the top 10 at the same time). R&B singer Jazmine Sullivan hit #6 that September with an album by that title. Taylor Swift's like-titled album debuted at #1 seven weeks later. The Wanted's first U.S. release, The Wanted, bows at #7. The seven-song EP sold 34K copies, only about one-fifth as many as One Direction's full-length Up All Night sold (176K) when it debuted at #1 six weeks ago (and 16K less than One Direction's album sold this week.) Does this give One Direction "boy band" bragging rights? I think it does. Both groups have smash singles. 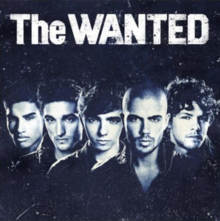 The Wanted's "Glad You Came" has sold 2,221,000 copies. One Direction's "What Makes You Beautiful" has sold 1,763,000. Adele's Live At The Royal Albert Hall is #1 on Top Music Videos for the 22nd week. This equals Whitney Houston's record for the longest run at #1 by a female solo artist. Houston's The #1 Video Hits was #1 for its first 22 weeks in 1986. 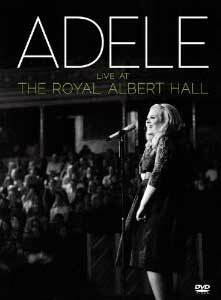 Live At Royal Albert Hall has sold 826,000 copies. That's less than one-tenth as many copies as Adele's album 21 (which has sold 8,909,000 copies), but it's a very solid number for a music video. Pop Quiz: A female artist was #1 when the Music Video chart was introduced in March 1985. (It was called Top Music Videocassettes at the time.) Who was that woman and what was her video? Answer below the top 10 list. "Somebody That I Used To Know" by Gotye featuring Kimbra returns to #1 on Hot Digital Songs, dethroning "Payphone" by Maroon 5 featuring Wiz Khalifa. Which will come out on top on the Hot 100? You'll find out later today when we post Chart Watch: Songs. 1. Jack White, Blunderbuss, 138,000. 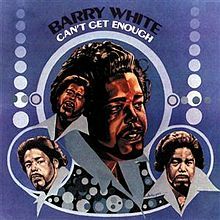 This new entry is White's first #1 album; his eighth to reach the top 10. 2. Adele, 21, 84,000. The former #1 album rebounds from #3 to #2 in its 62nd week. It has been in the top 10 the entire time. Four songs from the album are listed on Hot Digital Songs, topped by "Rumour Has It," which dips from #22 to #23. 3. Lionel Richie, Tuskegee, 78,000. The former #1 album drops to #3 in its fifth week. It has been in the top five the entire time. It's #1 on Top Country Albums for the fourth week. 4. One Direction, Up All Night, 50,000. The former #1 album rebounds from #5 to #4 in its seventh week. It has been in the top 10 the entire time. Three songs from the album are listed on Hot Digital Songs, topped by "What Makes You Beautiful," which dips from #6 to #7. 5. Lee Brice, Hard 2 Love, 46,000. This new entry is the country singer's first top 10 album. Brice's 2010 debut album, Love Like Crazy, debuted and peaked at #44 in June 2010. Three songs from the new album are listed on Hot Digital Songs, topped by "A Woman Like You" (a recent #1 country hit), which drops from #38 to #42. 6. Kip Moore, Up All Night, 37,000. This new entry is Moore's debut album. "Something 'Bout A Truck" jumps from #40 to #36 on Hot Digital Songs. 7. The Wanted, The Wanted, 34,000. This new entry, a seven-song EP, is the boy band's U.S. debut. Two songs from the EP are listed on Hot Digital Songs. "Glad You Came" dips from #9 to #10. "Chasing The Sun" drops from #71 to #115. 8. Nicki Minaj, Pink Friday: Roman Reloaded, 32,000. The former #1 album drops from #6 to #8 in its fourth week. It has been in the top 10 the entire time. Three songs from the album are listed on Hot Digital Songs, topped by "Starships," which dips from #8 to #9. 9. 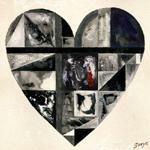 Gotye, Making Mirrors, 32,000. The album drops from #7 to #9 in its 17th week. This is its fourth week in the top 10. "Somebody That I Used To Know" (featuring Kimbra) returns to #1 on Hot Digital Songs. 10. Jason Mraz, Love Is A Four Letter Word, 29,000. The album drops from #2 to #10 in its second week. "I Won't Give Up" holds at #24 on Hot Digital Songs. Four albums drop out of the top 10 this week. Train's California 37 drops from #4 to #11, Future's Pluto drops from #8 to #18, Bonnie Raitt's Slipstream drops from #9 to #14, and Luke Bryan's Tailgates & Tanlines drops from #10 to #12. 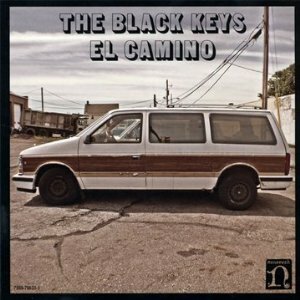 The Black Keys' El Camino rebounds from #16 to #13 in its 21st week. A new version of the album was released for Record Store Day on April 21. The album, which debuted and peaked at #2 in December, has sold 767K copies. It's on its way to becoming the duo's second straight million-seller. 2010's Brothers has sold 1,036,000 copies. In addition, Brothers won a Grammy for Best Alternative Music Album. Josh Abbott Band's Small Town Family Dream bows at #15. This is the third release by the country-rock group from Texas…Tiesto's Club Life, Volume 2: Miami bows at #16. The dance artist first charted in 2006. 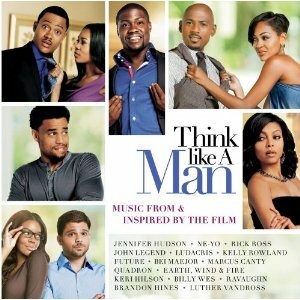 The Think Like A Man soundtrack dips from #21 to #22 in its third week. It's #1 on Top Soundtracks, displacing The Hunger Games: Songs From District 12 And Beyond, which was on top for five weeks. The movie was #1 at the box-office for the second straight weekend. The movie is the biggest hit with a mostly African American cast since The Help was #1 at the box-office for three weekends in August. Think Like A Man is based on a best-selling book by Steve Harvey. Two 1970s chart-toppers return to the charts. Barry Manilow's Live In London opens at #24. Carole King's The Legendary Demos bows at #56. This is Manilow's fourth live album to crack the chart. King's album was released to coincide with the release of her autobiography, A Natural Woman. Whitney Houston's 2000 album Whitney: The Greatest Hits jumps from #35 to #28 in its 41st week. It returns to #1 on Top Catalog Albums, dethroning Adele's 19. This is the Houston album's eighth week at #1 on the catalog chart. All have come since her death in February. As of this week, Luther Vandross has sold 20 million albums since Nielsen SoundScan began tracking sales for Billboard in 1991. Vandross sold millions more albums in the 10 years before that: His debut album, Never Too Much, was released in late summer 1981. Vandross, who died in 2005, is among the top R&B balladeers of all time. 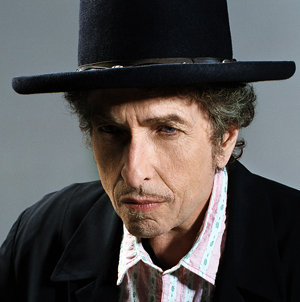 Bob Dylan last week became the first rock artist to be awarded the Presidential Medal of Freedom, the nation's highest honor bestowed on a U.S. civilian. (Two previous recipients of the medal are in the Rock And Roll Hall of Fame, but they aren't rock artists, per se. I'm talking about Queen of Soul Aretha Franklin and blues legend B.B. King.) According to a White House statement, the medal recognizes "individuals who have made especially meritorious contributions to the security or national interest of the United States, to world peace, or to cultural or other significant public or private endeavors." Translation: It's a big deal. Here's a sobering item: Dylan, 70, is older than the last three U.S. Presidents. Bill Clinton and George W. Bush are both 65. Barack Obama is 50. Coming Attractions: Carrie Underwood's Blown Away is expected to "blow away" the competition and debut at #1 next week, with first-week sales in the 270K range. Norah Jones' Little Broken Hearts and Now 42 will open at Nos. 2 and 3, each with sales of about 95K. B.o.B's Strange Clouds will probably open at #5, with sales of about 70K. The Music Of SMASH and Marilyn Manson's Born Villain will probably open around Nos. 9 and 10. The Avengers Assemble soundtrack will probably open in the top 15. Also due: an album from Martin Scorsese's Living In The Material World, Santigold's Master Of My Make-Believe and Rufus Wainwright's Out Of The Game. Useless Information: Jason Mraz's Love Is A Four Letter Word is the second album by an artist named Jason to debut and peak at #2 in the past 18 months. Jason Aldean's My Kinda Party stalled in the runner-up spot in November 2010.